It technically should work like carrier video calls, but it also integrates with Duo's contact database. This option doesn't appear to be live yet in the Phone app, and we're not sure when it will be implemented. Maybe the Pixel 2 XL was running a newer version. 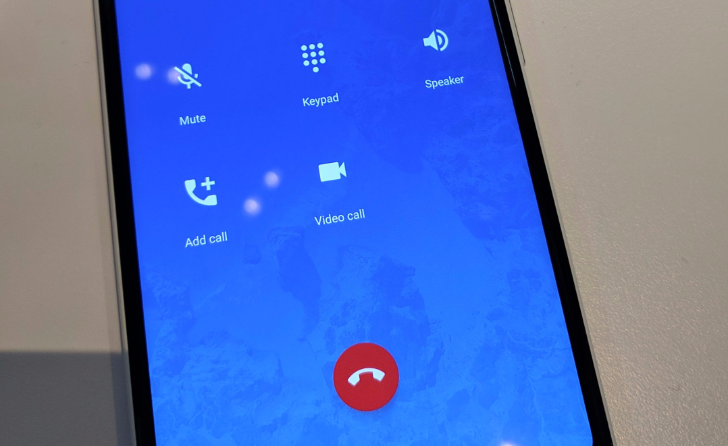 You may recall that Duo started showing its video call history in your dialer's log (Google Phone app and other OEM dialers), but we knew from Cody's teardown a deeper integration was coming to Google's Phone app. That is now live with Google Phone v13. If you're running the latest Google Phone v13 (APK Mirror), you should see a small notice when you open your call log that explains the Duo integration and leads to this support page. There, you can read that the Duo video call icon will now also show up when you perform a search in the Phone app. Phone app: You'll need version 13.0 and up. The video option will show in the call history or search. Contacts app: You'll need version 2.1 and up. The video option will show by a contact's name. Android Messages app: You'll need version 2.6 or up The video option will show in a Messages conversation. The search integration is new and wasn't there in previous versions of the Phone app. 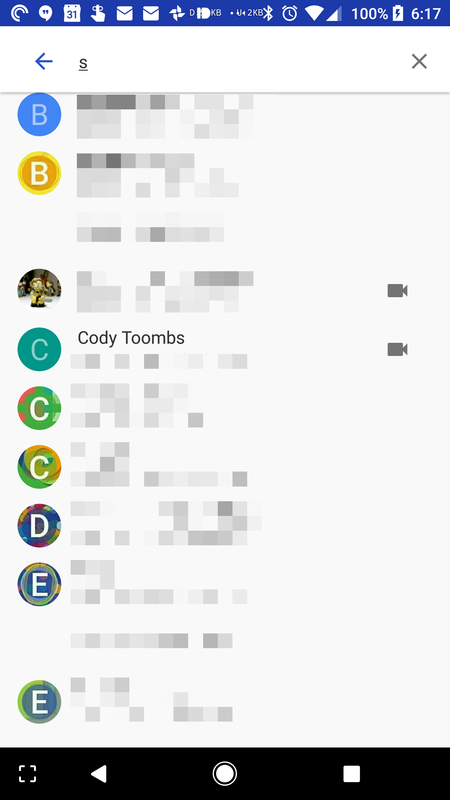 Oddly, the video call icon won't show if you simply go to the 3rd tab to browse your contacts, it's just there in the call log and when searching. If you want to test this out, grab Google Phone 13 from APK Mirror. As you can see from the quoted Google support document above, the video call option will start showing up in Android Messages too. However, it requires Messages v2.6, which hasn't rolled out yet. When it does, you should be able to see a video call icon in every conversation with a contact who has Duo installed. Video call icon has already been showing up in Google Contacts with version 2.1 and above. Video call icon was already integrated in the Google Phone's call history, but starting with version 13, it's now working in the app's Search too. Video call icon should be coming to Android Messages when version 2.6 rolls out. 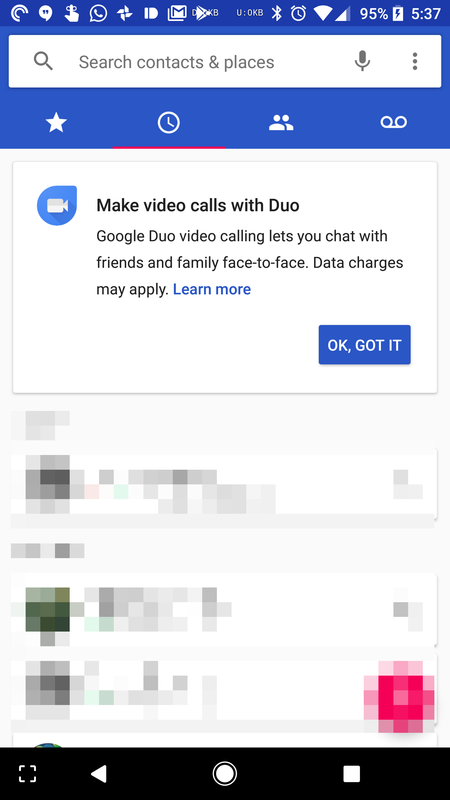 Switching to Duo video calls should be coming to the in-call screen of the Google Phone app, but we're not sure when that will happen. 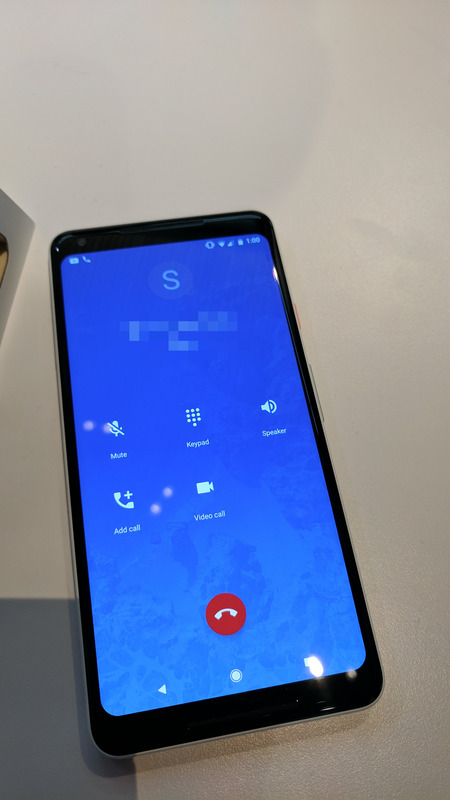 And if you're wondering what happens if your carrier has enabled two-way video calling, Google answers this easily: if both you and your contact have carrier video calling, you'll be defaulted to that when you tap the video call icon in any of the apps mentioned above. If only one of you has carrier video calling but you both have Duo, you'll be using Duo.